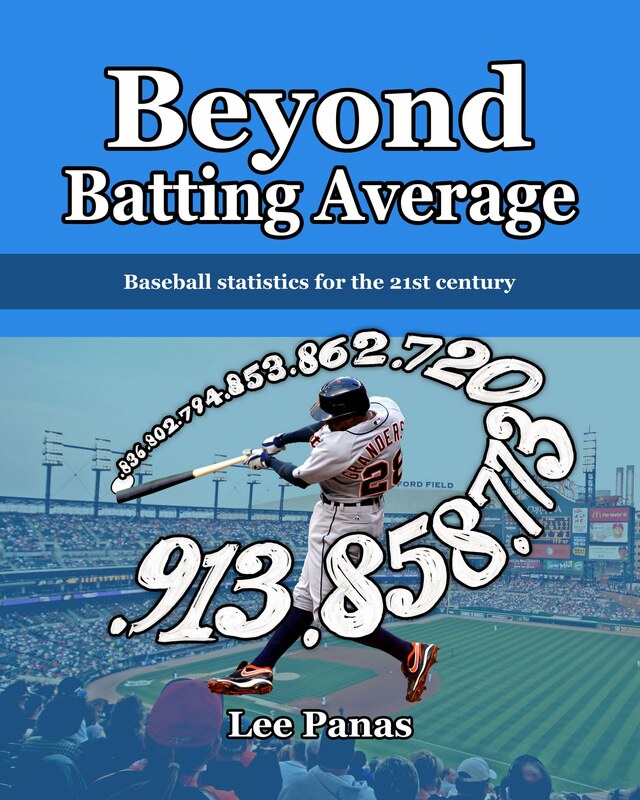 December is always a good month for book sales, but last month was the best ever for my book Beyond Batting Average which was published in 2010. I sold 57 copies breaking the previous high of 56 in December, 2012. I am pleasantly surprised that my book continues to sell pretty well without much promotion. I can thank Amazon, Google, Twitter and a number of internet friends for that. I believe that Beyond Batting Average is still the most up-to-date and comprehensive sabermetrics primer available. It is accessible to fans who are trying to learn sabermetrics and would like a more organized and broader presentation of the subject than you'll typically find on the internet. My book serves as a good introduction to more advanced books such as The Book by Tom Tango, Mitchell Lichtman and Andrew Dolphin. Great book! Now if only we could find somebody with deep pockets that can buy a copy for all of the HOF voters so they can figure out how to make sense of the numbers before they vote. If your book came out earlier, maybe we could have saved Lou Whitaker's HOF bid!